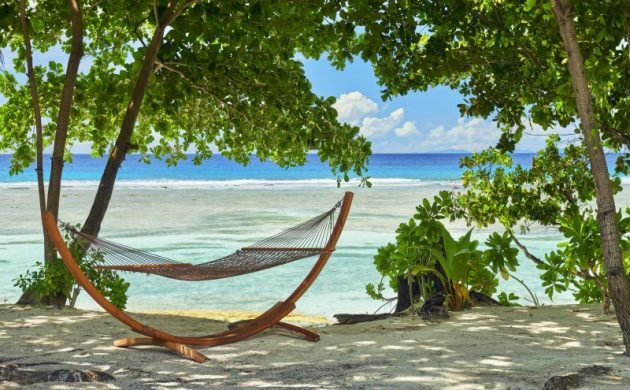 At less than five hours flight away from Dubai, there’s little excuse not to visit the Seychelles and Hilton’s three luxury resorts, of which the Northolme Resort & Spa. 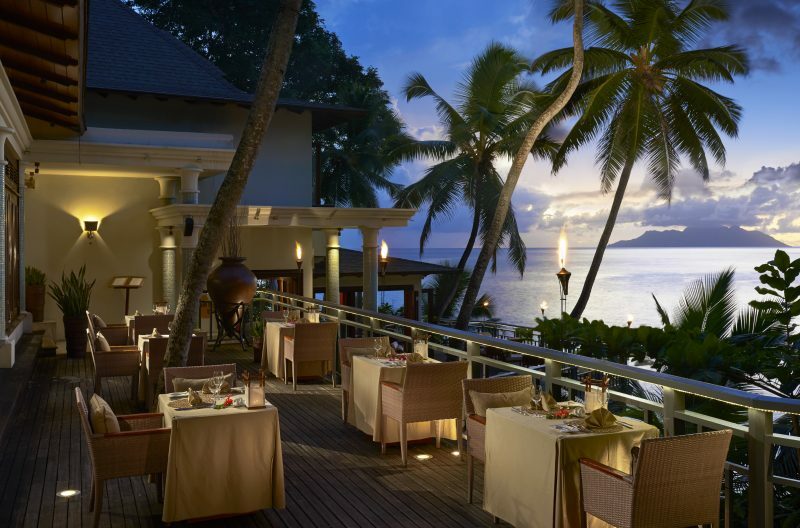 The Luxe Diary visits the Hilton Seychelles Northolme Resort & Spa. Read our review of this little corner of paradise. Cast your mind back to when you first heard the word ‘paradise’ and pictured what that might be. There are times while walking the beaches and breathing in the picture postcard scenery that the Seychelles answers the definition. 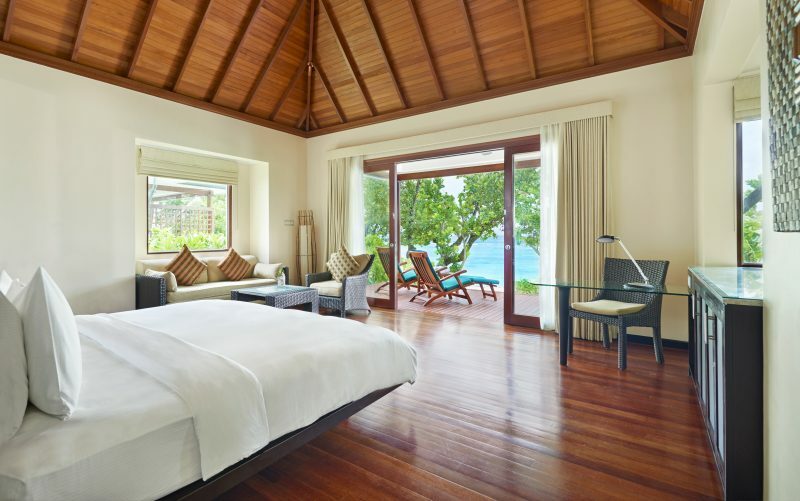 True, the word is thrown about often these days, but there’s much to justify it when visiting Hilton’s resorts at the Indian Ocean islands. Certain views you simply try to imprint on your memory. Breakfast in the Hilltop Restaurant delivers one such occasion – a vista so spectacular the food almost becomes a distraction. It’s arguably one of the best times of the day at Hilton Seychelles Northolme Resort & Spa, a hotel that hugs the hillside overlooking beautiful Beau Vallon Bay on main island Mahe, just 30 minutes from the airport and capital, Victoria. The architects certainly knew how to get the best out of the location, not least by giving many of the wooden guest villas unobstructed views of nature’s fine work. 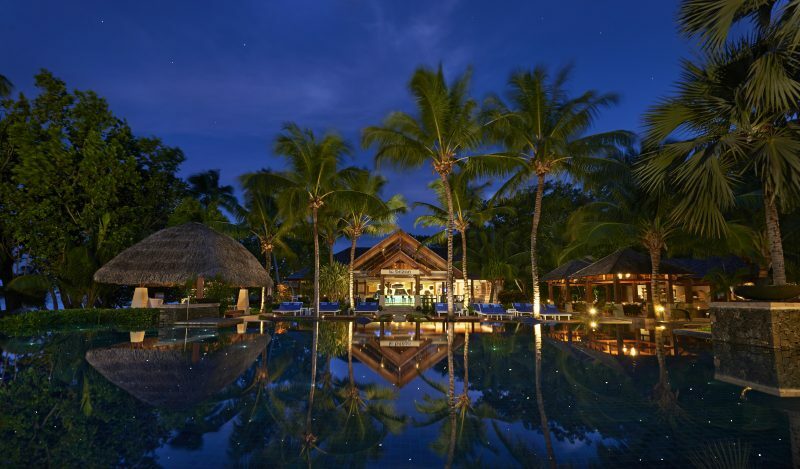 Some come with private pool, others are set back – such was our’s – to capture the best of both ocean and lush greenery fuelled by a tropical climate. Loungers and a daybed on a spacious balcony provide comfortable spots from which to absorb natural sights and sounds. 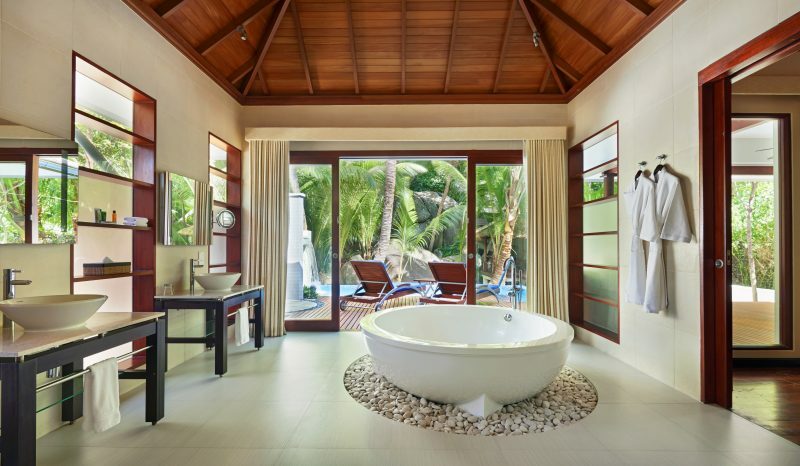 Inside, a four-poster bed dominates one end of the lounge/bedroom while a generous bathroom includes a jazcuzzi bath an open rain shower – cunningly placed to still spy the sea. It’s a view that once enraptured James Bond author Ian Fleming. He stayed before Hilton’s tenure but was inspired to write 1967 novel For Your Eyes Only. 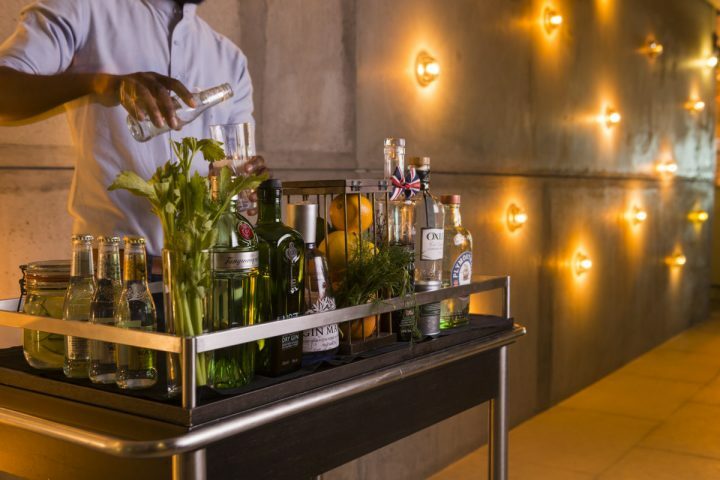 While modern day visitors are more likely honeymooning or celebrating an anniversary than penning bestsellers, Northolme remains inspirational – and Fleming’s connection is celebrated with stills from vintage 007 movies in Oceanview Bar & Restaurant. Overall, Northolme majors as a place of romance, beauty, tranquility – only children aged over 13 allowed – and pampered relaxation. General Manager Daniele Fabbri witnesses the effect his slice of paradise has on arrivals – including increasing numbers on regular Emirates flights from Dubai and Air Seychelles from Abu Dhabi. The resort also experiences more long weekend guests and last minute bookings. “You can decide two weeks before in Dubai to come to the Seychelles,” says Daniele. “As an operator we need to embrace the changes and understand them.” One thing all guests have in common is a weakness for the location. “Villas have their own surroundings which can make the experience private,” says Daniele. “Guests really want to relax, rest – enjoy the infinity pool, the sounds of birds and the waves, have nice food. We have focused a lot on F&B, fine-tuned the menu.” That includes Les Cocotiers; home to sublime fusion cooking powered by local Creole cuisine. 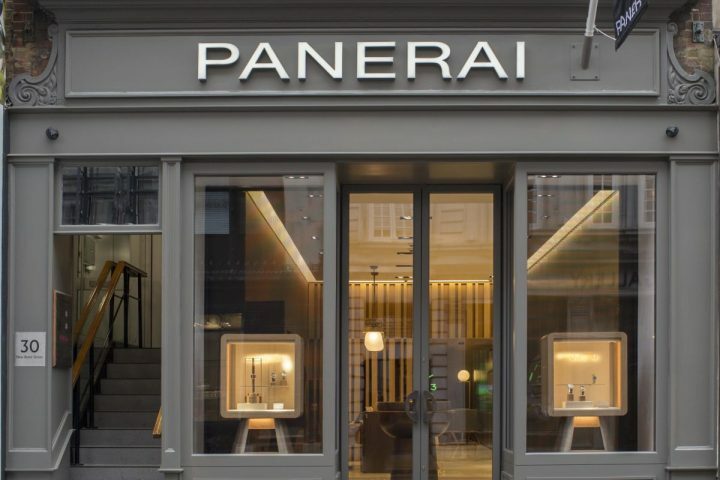 Even exercise is less tiresome here – gym running machines give a panoramic viewpoint – so long as you don’t detour to eforea spa for a champagne massage. You can get among the waves – and learn about Hilton’s contribution to restoring the island’s damaged reef system – by joining the on-site conservationists. “We have the best snorkeling spot in Mahe,” says Daniele, who is keen to reveal Northolme’s support of coral nurseries and restoration – soon to be featured on new Netflix series ‘Our Planet’, with Sir David Attenborough. Development of Mahe’s first artificial reef was finalised late last year. First step was the nursery; corals will then move to the reef. There’s even an opportunity to adopt coral – something 350 former guests and Instagram followers have done. Other efforts include becoming plastic-free and hiring a Sustainability Coordinator to drive efficiencies. 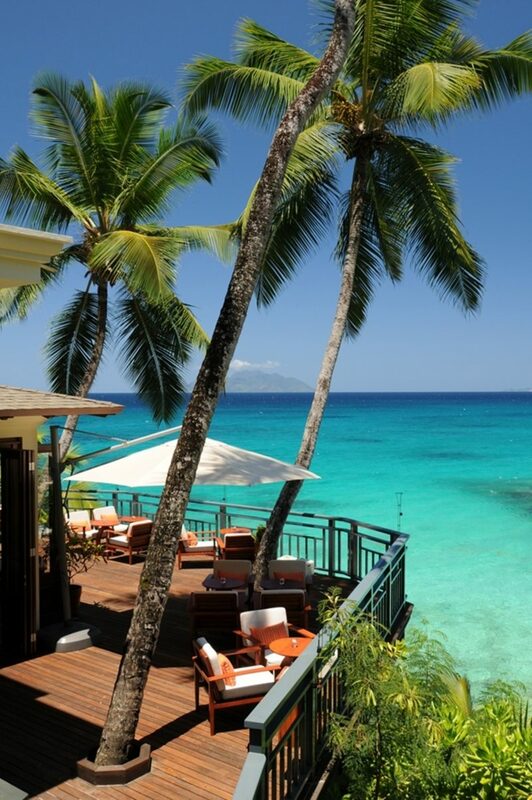 For more marine conservation work, there’s DoubleTree by Hilton Seychelles – Allamanda Resort & Spa. 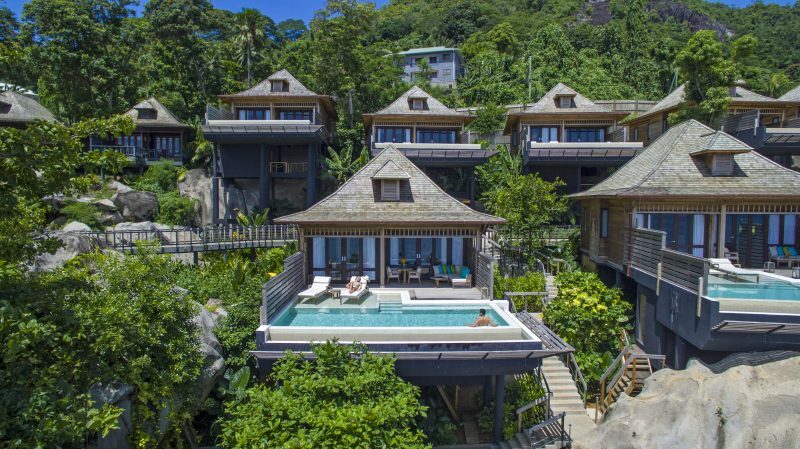 You’ll find a coral nursery in tanks beside Les Palms restaurant, beyond which the hotel’s ample decking, pool and standalone spa give way to an enclosed beach with soft sand with tiny crabs scuttling to dodge incoming waves. The Allamanda has a boutique feel with sea-facing rooms, including king deluxe options with a balcony jacuzzi tub. It’s a prime starting point to explore Mahe. Ringed by one road and crisscrossed by several, it’s easily navigated and the equivalent length of driving between Dubai’s two airports. Back near Victoria, regular boats leave a dedicated Hilton jetty for all-villa hideaway, Hilton Seychelles Labriz Resort & Spa. 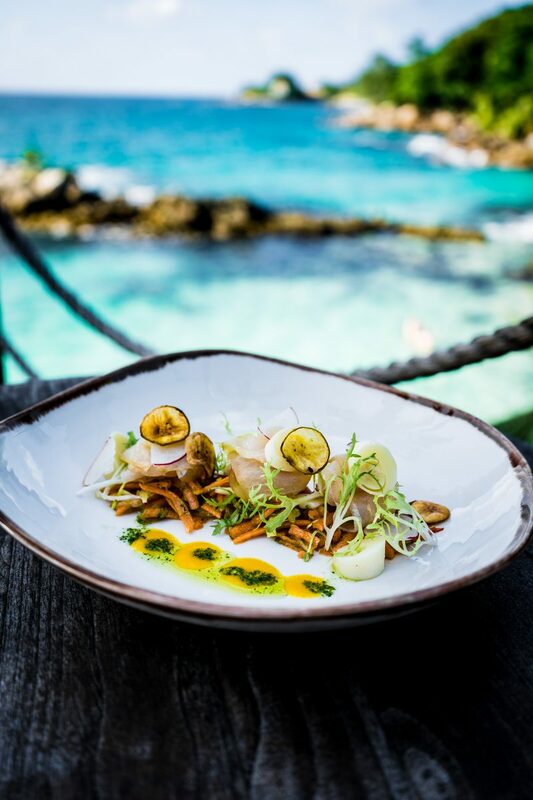 Here nature is even more prevalent and the guest mix ranges from couples to families seeking to re-connect amid perfect beaches and immersive rain forest. Fruit bats fly overhead and shoals of inquisitive fish gather as you paddle in clear sea, ideal for snorkeling and dives. The only resort on Silhouette Island – third largest of the Seychelles system and 30 minutes from Mahe – makes the most of location. The 111-villa escape is as discreet or active as you wish, with accommodation leaping from an epic king presidential villa to garden-based villas and beach-front options, some with pool. Our king garden villa boasted a high wooden ceiling, modern fixtures, a terrace with loungers and spacious bathroom with tub and rain showers inside and in a walled garden. Shaded paths access seven F&B options, from Mediterranean fine dining at Portobello and casual beach bar/diner 4th Degree to Asian outlet Sakura and Grann Kaz, serving authentic Creole creations like octopus curry and sausage rougay in a restored plantation house. 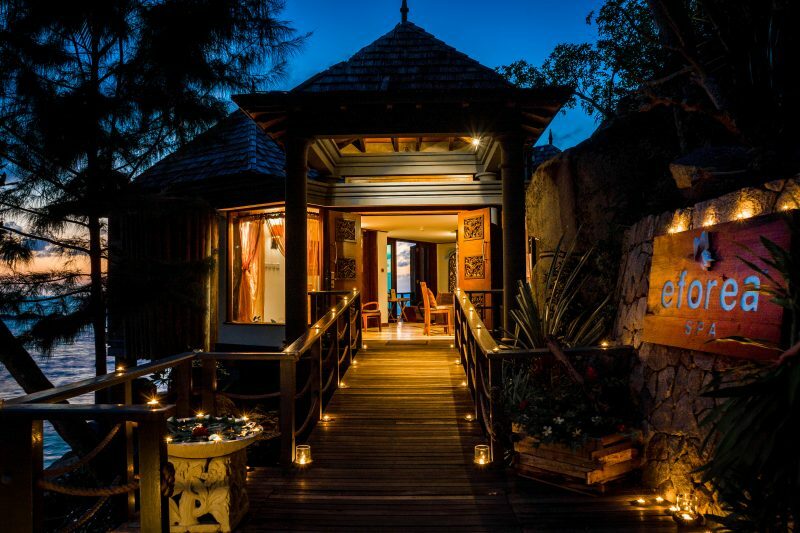 The resort spa occupies one of the most dramatic settings, treatment rooms and hot tub nestled amid ancient tumbled volcanic rocks and rainforest. Hiking routes, guided or self-led, probe the hilly foliage to Belle Vue, with its stunning panorama, and secluded Anse Mondon. A boat trip reaches the far side of this mostly national park-designated island to meet the oldest residents – protected giant tortoises, some thought to be 140-plus years old according to a weekly nature talk delivered in Lo Brizan Bar. 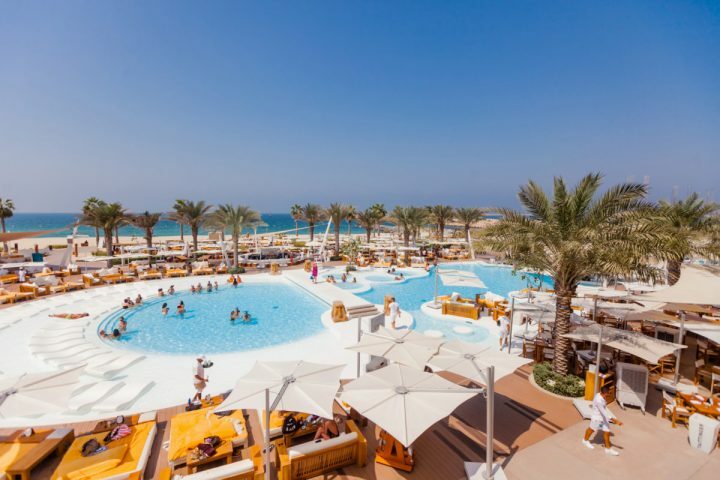 They’re a surreal sight best reflected on in the resort’s ocean-facing pool, while exploring the area by bicycle or maybe over tennis, yoga – or a game of giant chess. Words by David Dunn for The Luxe Diary. Exclusive Invitation to Marina Social’s 2nd Birthday Bash!